For some people, commitment to an aesthetic is a lifelong resolve: Jony Ive’s Dieter Rams influence will surely mark Apple for as long as the Chingford-born designer is at its helm, Michael Jackson’s pledge to manifest his King of Pop persona was so devout that he did very strange things to his physical self. 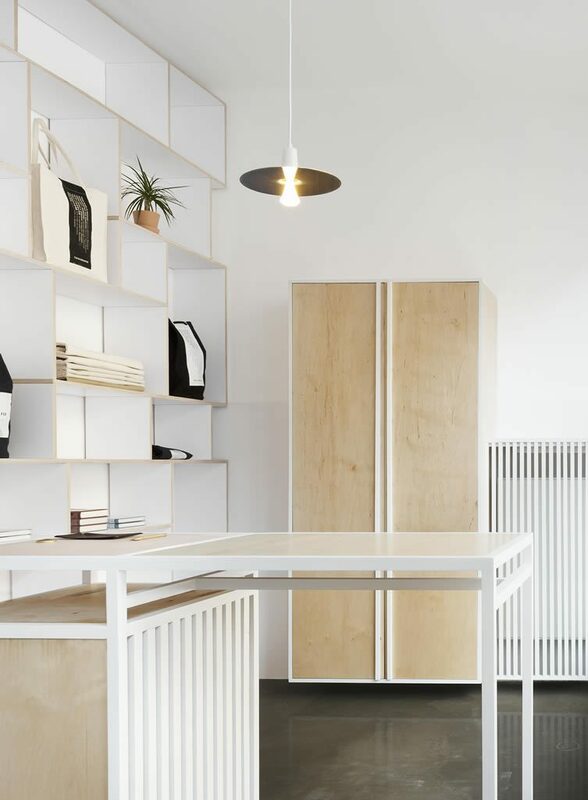 The folk behind Polish design enterprise Thisispaper aren’t going so far as to take up bleaching their skin, but their commitment is to be noted nonetheless. 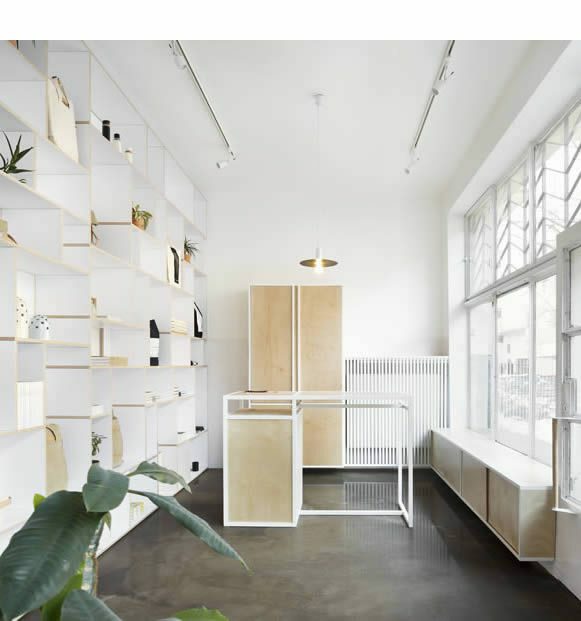 Finding its feet as a very lovely online publication, their dedication to clean and cool simplicity promptly led them to handcrafted product design practice: Thisispaper Shop. 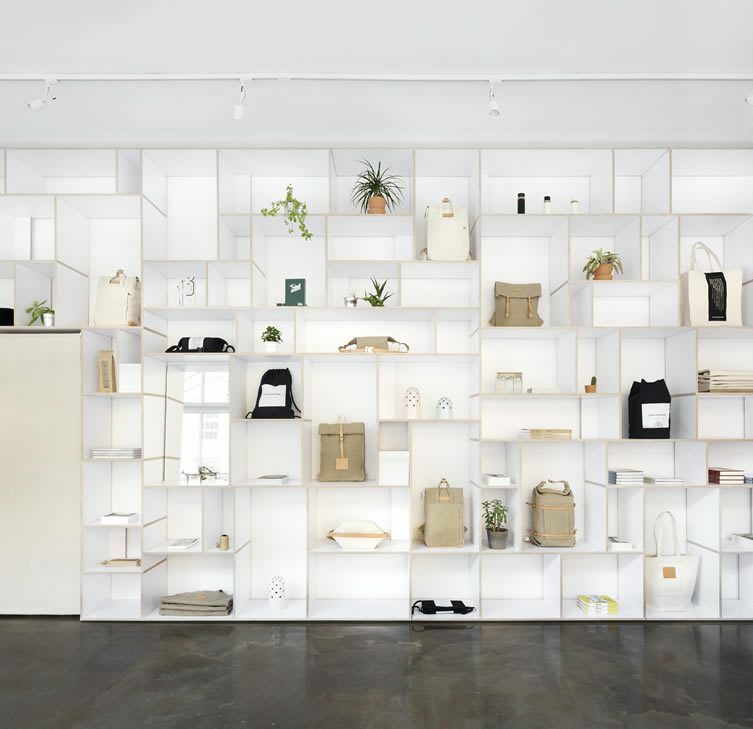 ‘No everyday item is too dull or too unglamorous to be carefully designed, handcrafted and loved,’ said they, ‘impeccably-designed’ said we — and, following their foray into print publishing, the Thisispapers continue their transition from digital- to real-world with the opening of the Thisispaper Flagship Store. 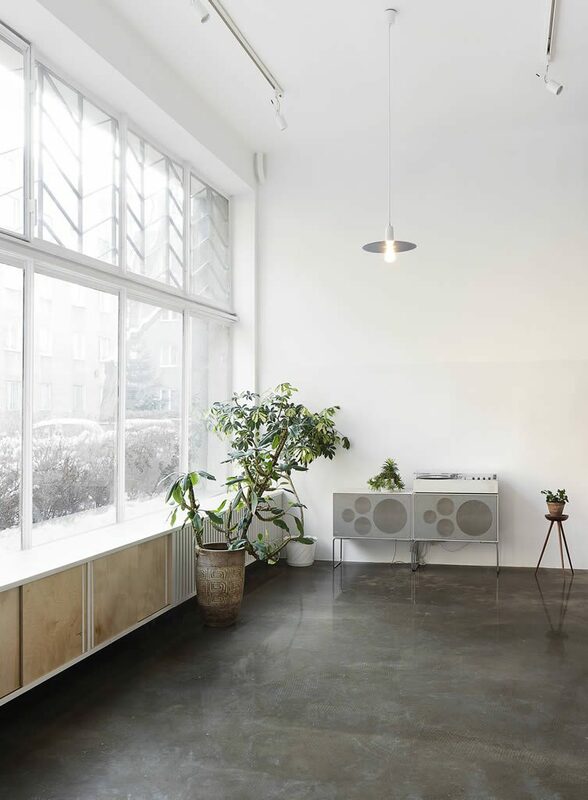 Taking over a Soviet-era dental clinic in Warsaw, the shop is a physical manifestation of their unrelenting aesthetic; a crisp coolness with a draught of serenity almost tangible. 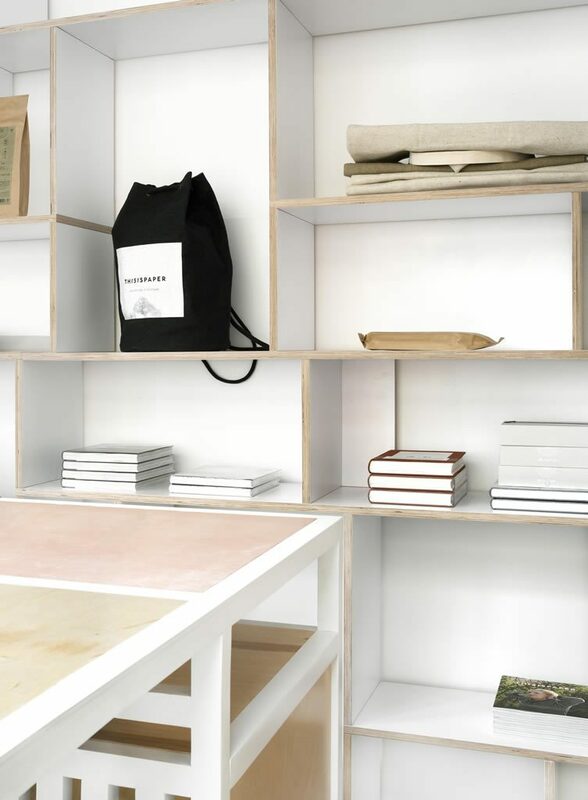 Central to the design is a dominant shelving unit designed and made in collaboration with local furniture brand Tylko; it serves both as neutral backdrop for the Thisispaper collection, and a relaxed focal point that whispers ‘look at me’. 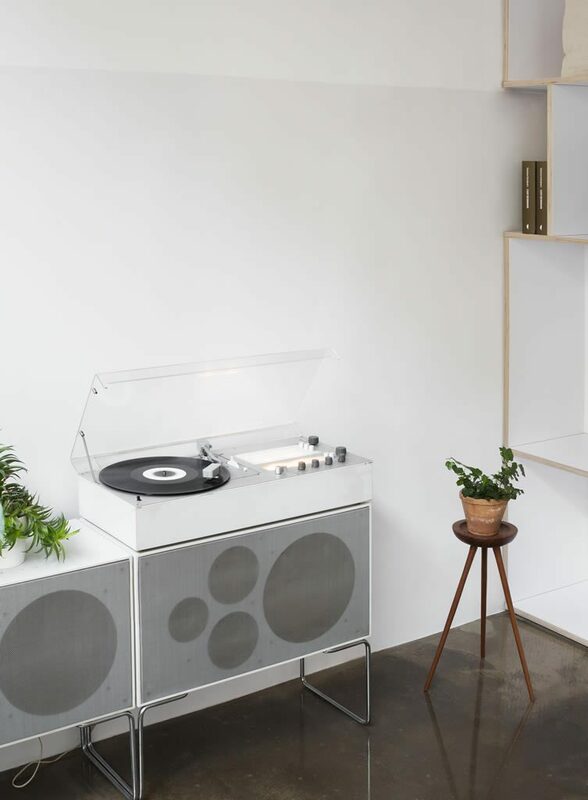 Here, the studio’s product range is accompanied by Polish books, Japanese tea, and vinyl; the latter playable on a secondary centrepiece, a Dieter Ram-designed Braun Audio 1 Stereo. Cool. Very cool.